Authorities in southern Mexico disarmed and placed under investigation the entire police force in the once-glittering resort of Acapulco on Tuesday, claiming the local cops were infiltrated by drug gangs. Officials in Guerrero state issued arrest warrants for two top Acapulco police commanders, accusing them of homicide. It was the latest fall from grace for Acapulco, which was a favorite haunt of movie stars in the 1960s but has since fallen victim to warring drug gangs. The state government said it took the step "because of suspicion that the force had probably been infiltrated by criminal groups" and "the complete inaction of the municipal police in fighting the crime wave." The rest of the police officers were stripped of their guns, radios and bullet-proof vests and taken for background checks. Law enforcement duties in the seaside city of 800,000 will be taken over by soldiers, marines and state police. The U.S. government repeated its travel alert advising U.S. citizens not to travel in Guerrero state due to the armed groups that are active in the region. Last year, Acapulco had a homicide rate of 103 per 100,000 inhabitants, one of the highest in Mexico and the world. In the northern state of Tamaulipas, one of the hardest hit by drug violence, almost all local police forces state-wide have been disbanded since 2011. 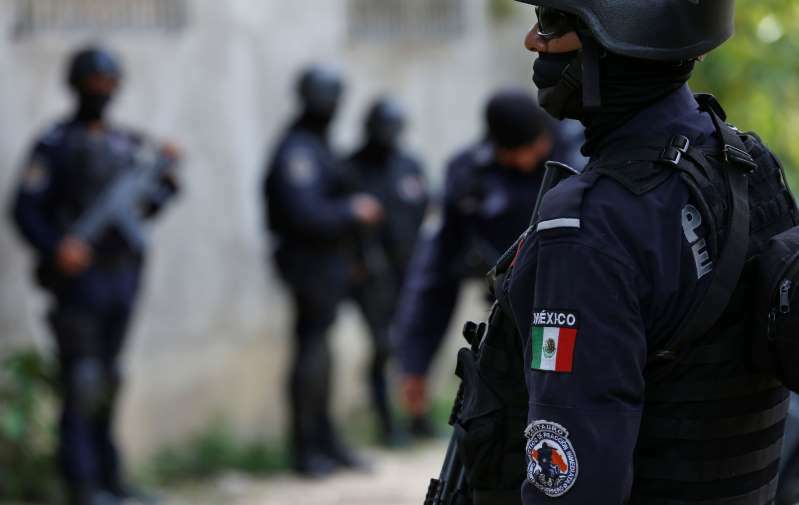 With low pay and little training, local police in Mexico are easy prey for drug cartels, which offer them money if they agree to obey gang leaders, or threaten to kill them if they don't. In some cities in Guerrero and Veracruz, local police were under cartel control to such an extent they would kidnap people and turn them over to drug gang hit men for interrogation and death.